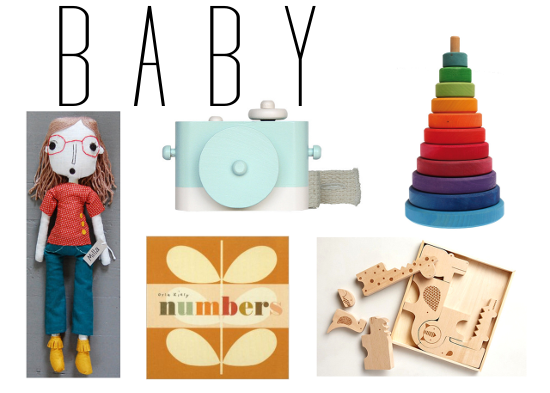 The last Christmas gift guide for the week is the biggest gift list. Children take up a pretty huge portion of my life, so it only makes sense to dedicate the biggest gift guide to them. Instead of gathering all possible children gifts into one round up, I separated it into three; baby, toddler, and big kid which coincides with my little rascal’s ages. As a teenager I always loved shopping for unique toys, so now that I have a valid excuse as a parent it’s easy to get carried away. 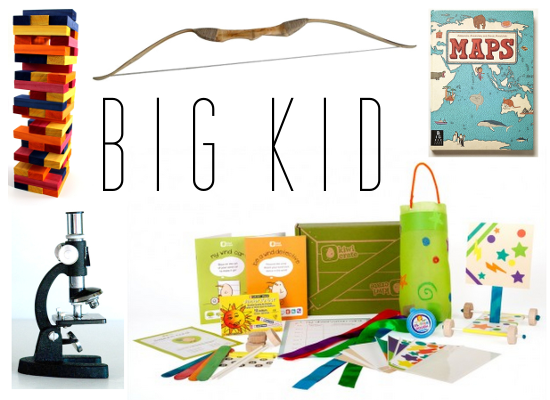 One thing I’m pretty excited about is Kiwi Crate’s monthly subscription, which you’ll see in both the toddler and big kid gift guide. 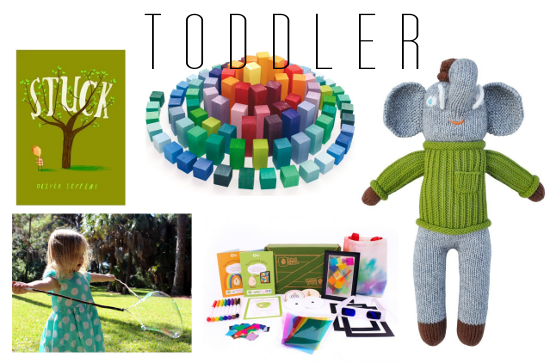 They offer kits like space hero, robot rally, and growing gardens filled with creative and educational activities for kids. Since I’ve been really struggling with keeping Eliana engaged with crafts and activities – she always seems to get bored of things so quickly and I always seem to resort to TV time to keep her entertained – Kiwi Crate seems like an easy way to keep her, Elijah and eventually Isabelle interested in crafting. Their monthly subscription would make a great gift for both a child and their parent because we all know a happily occupied kid means a happy mama, am I right? Okay, enough with the serious talk, let’s move on to virtual shopping. So what’s your favorite of them all? I can vividly picture Isabelle giving big hugs to that amazingly handcrafted doll and to be honest, Elijah would have to fight me over that vintage microscope. Seriously, how cool would that be to have around!? Keep virtually window shopping by checking out these other gift guides: gifts for the crafter, gifts for the treehugger, and gifts for the foodie.